Great location, walking distance to everything: the metro station, bus stops, supermarket, pharmacy, the Seine, Palais Chaillot, even the Eiffel Tower! Easy reservation, check-in and check-out: Maria is super nice, helpful and very responsive. She contacted us before arrival, warmly welcomed us to her home, provided instructions and interesting infos (there’s a farmer’s market nearby on Wednesdays!). She made sure that we are comfortable. Can’t ask for a better host! View of the Eiffel tower from the bedroom & kitchen. The rooms (including bathroom) are pristine and modern. Well secured apartment in a chic neighborhood (it is literally in front of the Yves saint Laurent Museum). Its location, we co-ordinated with Maria, she was super helpful, apartment was spacious for Parisian standard. There apartment is gorgeous, stunning view, location is everything, Maria the host was very helpful and easy to deal with. The host Maria was excellent. The place was very clean and little bits and pieces had been prepared for us in the appartment that made our stay even more pleasant. Maria was also excellent as recommending local restaurants. Месторасположение, вид из окна на башню. Доброжелательная хозяйка. L'emplacement, la propreté, l'accueil et la réactivité des hôtes. Idéal pour un séjour en couple. Lock in a great price for Eiffel tour view apartment – rated 9.4 by recent guests! One of our best sellers in Paris! 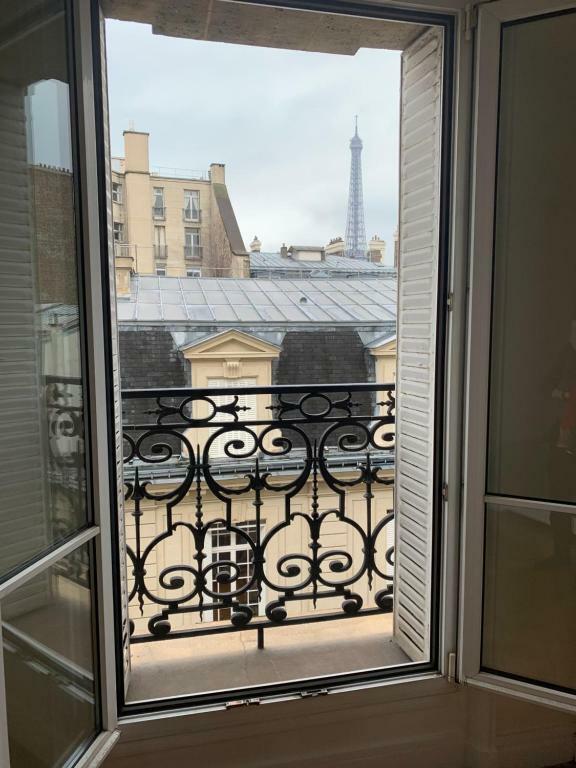 Located in Paris, Eiffel tour view apartment provides accommodations 1.1 miles from Arc de Triomphe and 1.1 miles from Orangerie Museum. Complimentary WiFi is provided. Each unit is comprised of a kitchen with a dining area and a fridge, a living room with a sofa, and a private bathroom with a hair dryer. A stovetop and electric tea pot are also featured. Eiffel Tower is 1.2 miles from the apartment, while Tuileries Garden is 1.4 miles away. The nearest airport is Orly Airport, 11 miles from the property. 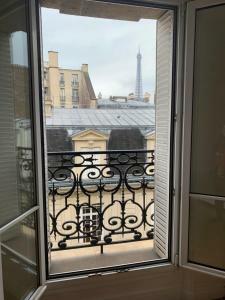 뀐 Located in the real heart of Paris, this property has an excellent location score of 10.0! When would you like to stay at Eiffel tour view apartment? House Rules Eiffel tour view apartment takes special requests – add in the next step! Please inform Eiffel tour view apartment of your expected arrival time in advance. You can use the Special Requests box when booking, or contact the property directly using the contact details in your confirmation. There’s no TV in the apartment which was OK because the Internet was fast anyway and we had our smartphones with us.